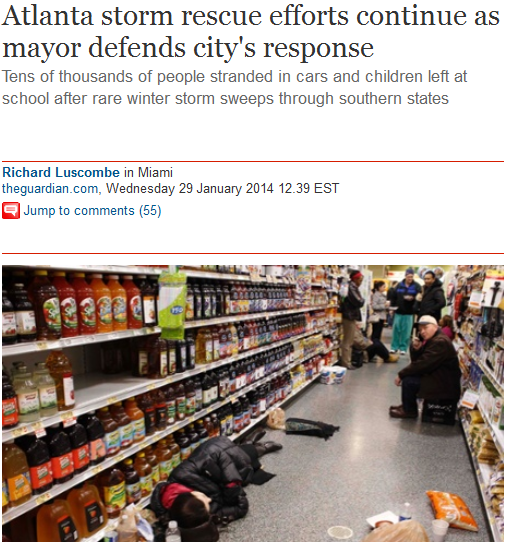 City leaders in Atlanta found themselves under fire for their response to a major ice storm that swept across southern states and left many thousands, including numerous schoolkids, stranded overnight. 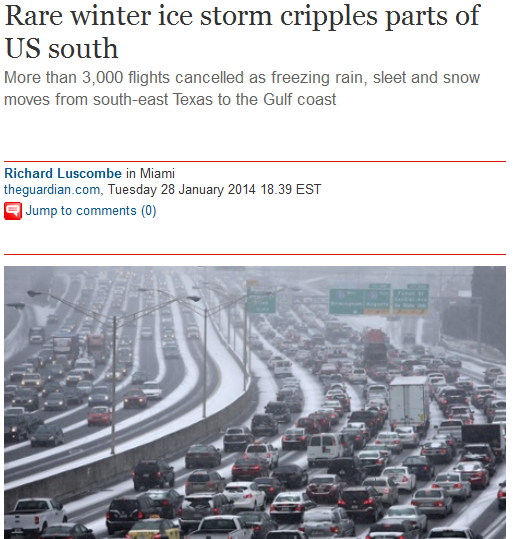 As forecasters point out, it’s not like they didn’t know it was coming. From my vantage point in Miami (86F today) I take a look at the big chill, the second in weeks, covering most of the rest of the country. Days like these make me glad to be in sub-tropical South Florida! Jacqui took a look at a coming attraction at Universal Studios in Orlando. 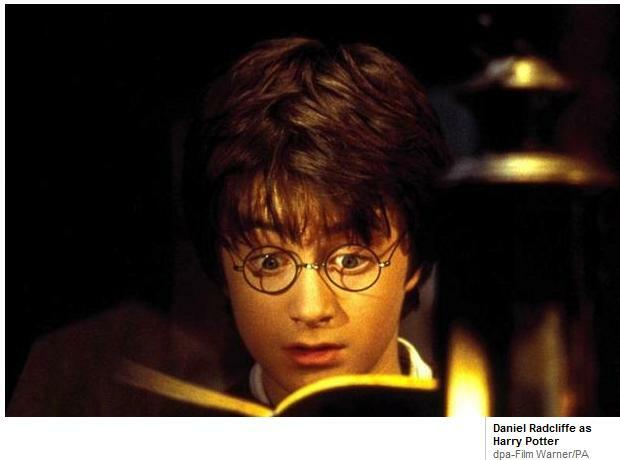 Harry Potter fans rejoice! As a Muggle, I shouldn’t be able to see Diagon Alley, the fictional London street accessible only to wizards and witches — yet here I am, standing in its midst, gazing at the impressive white façade that is Gringotts Bank. This summer, fellow Muggles — the name given to non-magical folk — will also be able to walk down this scene straight out of JK Rowling’s Harry Potter books. For now, on my sneak preview of Universal Studios’ newest Wizarding World of Harry Potter attraction in Orlando, parts of the alley and its sinister side street, Knockturn Alley, are still under scaffold. Cranes tower overhead, there is sand underfoot instead of Victorian-style cobblestones, and workers in hard hats and neon vests move in and out of partially furnished buildings carrying tools, buckets and materials. Yet emerging from this disorder is an attraction impressive in its scale, its layers of detail and its fidelity to the mystical world of Rowling’s original vision. There are leaning, twisting, two and three-storey shop fronts, gas lamps ready to flicker into life, a train trestle running overhead, signs advertising magic wands, and even a jellied eel shop. Equal in area to the existing Harry Potter attraction — which features Hogwarts Castle and the fictitious Scottish village of Hogsmeade — Diagon Alley has involved thousands of designers, artisans, technicians and engineers, and is the company’s most ambitious and complex endeavour to date. The big ride — Harry Potter and the Escape from Gringotts — will be inside the wizards’ bank, where scores of goblins, created by technical jiggery-pokery, will be hard at work. As they push deeper underground, visitors will see metal carts carrying gold ingots, dusky stone walls dripping with slime, and stalactites and stalagmites. Further details remain secret, although the ride is likely to follow the storyline in Harry Potter and the Philosopher’s Stone, in which the boy wizard and his friends break in to Gringotts’ vault to steal from the evil Lord Voldemort, then flee on a dragon. A giant, fire-breathing animated dragon will be perched atop the building. The ride’s creators promise that it will surpass even Harry Potter and the Forbidden Journey, the existing Wizarding World ride. “Escape from Gringotts is so elaborate and so big — it’s an unprecedented scale of experience,” says Mark Woodbury, president of Universal Creative. Linking Hogsmeade and Diagon Alley will be the Hogwarts Express, the iconic red steam train on which Potter and friends chug back and forth from London to Scotland. Instead of seeing Universal rollercoasters and back-lots through the windows, special effects will give passengers a view of the rolling English countryside and Scottish Highlands. The train’s construction needed multiple research trips to Britain — “the ultimate trainspotters’ outing”, jokes Alan Gilmore, the art director behind the Potter movies and Wizarding World. Sculptors flew to London to gaze at and prod old brickwork so they could recreate its exact size, texture and pigment. Architects were sent to study King’s Cross station, Charing Cross Road, Leicester Square Tube station and Wyndham’s Theatre, which collectively make up the façade through which guests will pass from the Muggle world into the wizarding world by secretive means yet to be divulged. How one glides through the brickwork of King’s Cross to board the Hogwarts Express on Platform 9¾ — as Potter and friends do — is also under wraps, but Matthew Lewis, who played Neville Longbottom in the films, says it will be so unique that it will “blow people away”. The eerie, three-deck Knight Bus will also feature. Guests will not be transported on it, but will have the opportunity to interact — including with the loquacious shrunken head that lives aboard. Rowling, for whom Harry Potter has earned a multimillion-pound fortune, was consulted closely throughout, says Dale Mason, the executive art director for Wizarding World: “She helped us name shops and places that don’t exist in any of her books but now exist here in her world” — places such as Carket Market and a cross-street she christened Horizonte Alley. Visitors with cash to spare after paying for the two-park entry ticket can spend it at the Leaky Cauldron pub, where the menu will include fish and chips and bangers and mash; or in Florean Fortescue’s Ice Cream Parlour, where frozen delicacies include strawberry-and-peanut-butter flavour. There are also stores ranging from Weasleys’ Wizard Wheezes — the joke shop run by Fred Weasley and his twin brother George — to Magical Menagerie, offering cuddly toys such as owls and hippogriffs. Construction of the Cabana Bay Beach Resort, an 1,800-room budget hotel with a 1950s and 1960s retro theme, where rooms for up to six people cost from only $119, will help to handle the influx of guests that Diagon Alley is expected to generate. On a mock-up of the Thames Embankment outside Diagon Alley, pieces of a fountain that will house the Statue of Eros, as seen at Piccadilly Circus, lie on the ground waiting to be assembled — one more piece in a jigsaw whose end result promises to look spectacular. Virgin Holidays (0844 5573859, virginholidays.co.uk) has seven nights in Orlando, room only, at the Cabana Bay Beach Resort, with car hire and flights, from £903pp. Prices at Universal Studios are from £117 for a two-park bonus ticket for 14 days (universalorlando.com). 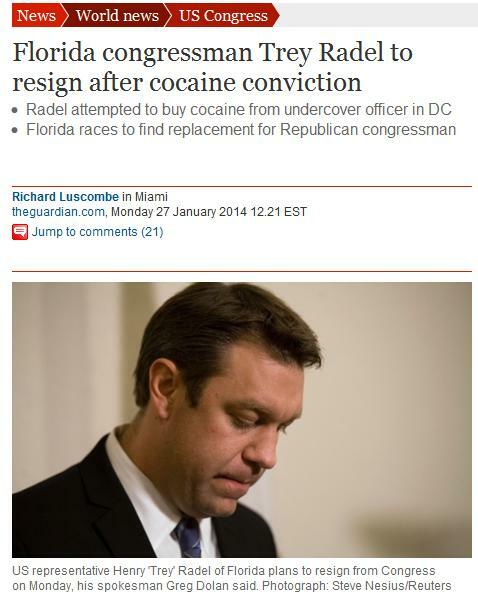 No good ever comes of cocaine use. Especially when you’re a politician that once voted for the mandatory drugs testing of food stamp recipients. 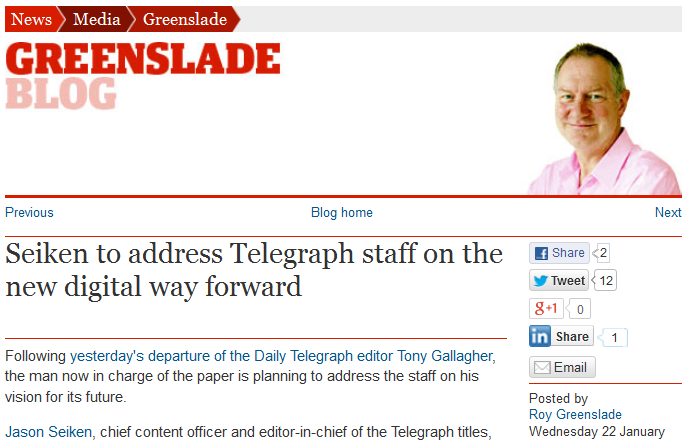 The Telegraph’s brave new world? During my 11 years as a staff journalist at The Daily Telegraph, a period which ended in 2001 with voluntary redundancy just as newspapers were beginning the first wave of the seemingly endless cutbacks that have acted as a wrecking ball to the industry, I lost count of the numerous relaunches, new directions, new initiatives and complete overhauls announced by the company during mass gatherings of staff. Each one promised a bright new future, and yet, more than a decade later, it seems they’re still searching for the right formula. There’s little doubt that a digital-only future is inevitable, but I remain to be convinced that sacking a popular editor renowned as a journalist’s journalist, and giving free rein to a “chief content officer” with next to no experience of national newspapers will provide the bright new dawn they crave. We shall see. Here’s Roy Greenslade’s take on things in Thursday’s Guardian. Congratulations to our good friend and Jacqui’s former deputy at the Express Tim Shipman, who has just been named political editor of The Sunday Times. He’s a wonderful journalist and we’re sure he’ll excel in his new role. 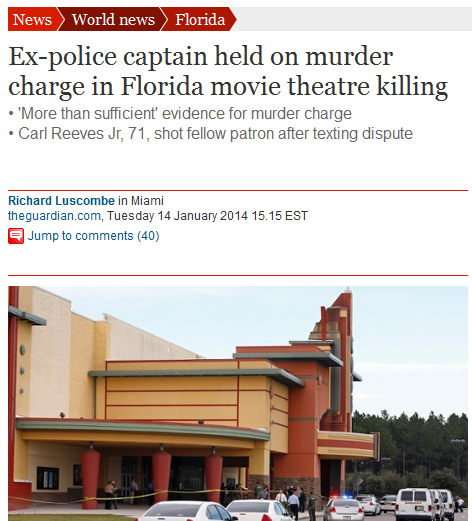 How a confrontation in a Florida cinema between a retired cop and a man texting on his mobile phone turned deadly. There are no winners here, a 71-year-old possibly heading to jail for the rest of his life.